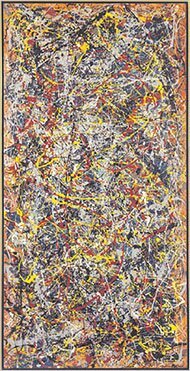 Record price for Pollock’s No. 5, 1948? The New York Times reports today that David Geffen may have sold a drip painting by Jackson Pollock for $140 million dollars yesterday. The price has yet to be officially confirmed, but may indicate that the art market is currently booming, which seems in line with the potential for Christie’s to set a record auction next week. It seems Geffen may be unloading his art collection in a bid to purchase the LA Times. The price would exceed the $135 million Ronald S. Lauder paid for a Klimt last year.